Quote of the Week: “The roots of education are bitter, but the fruit is sweet.” – Aristotle. Here debuts the first ever Nigerian Rubik’s Cube Blog! We need your feedback to make it as interactive, fun, informative, and educative as possible. Though we shall be keeping you abreast of Rubik’s cube events around the world, we shall also be sharing the testimonials of both students and teachers from around the world, and they would equally love to hear from you, please do post your testimonials too. Among other news, we shall be keeping you informed of scholarship opportunities in various universities together with other opportunities that help develop youths around the world. Please do share your views with us from time-to-time. This week, our immense gratitude goes to Holly Riehl of the “You Can Do The Rubik’s Cube program” team in the United States of America. She shares with us the testimonial of Tina Criste, a 6th grade teacher of Park Orchard in the United States of America. This testimonial has impacted me greatly on the effect of the Rubik’s Cube, and I look forward to the effect it has on you. Please read and let us have your comments. “I have to email you today because of what I am seeing in my classroom. I have 30 kids in my 6th grade class! They are a mix of all different ethnicities (Mexican, Chinese, Samoan, Vietnamese, African American, Pilipino, Ukrainian, Russian and more. I have four kids in Special Ed. I have a selected mute and several that don’t speak any English because they come from several refugee camps from far away. Why am I writing this letter. 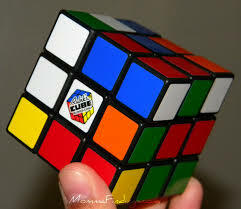 Well, with the mix of kids they all speak the same RUBIK’S cube language! I passed the books out, and then the cubes. We watched the video and then the kids went to town on the cubes. My selected mute kid who hasn’t spoken a word since entering school here in 2nd grade, solved the cube first! The class cheered for him and he said thank you very loud! It made me cry! He has sense come out of his shell and is whisper talking to me telling me how he solved it. He asked if he could take some home to work on! He has been found whispering and helping others in the class too! This isn’t my only success either! I have a 6thgrader that has some really big issues and is typically in a fight, suspended can’t get along with anyone and is always angry. Put a cube in his hand and he is a master!! He twists and turns and is quiet and other are asking for his help. He is working with others and doing a step by step tutorial even during his recess time. I am going to be ordering him the T-shirt as well as one for my selected mute kid. I will also be looking to buy some of these cubes for my classroom. The cube has opened the doorway for not only these two but others in my room too! What I love is who would have known that you can do the cube in any language… it is universal! It has brought us closer as a class and I have to say thank you! It will be a sad day when we have to send them back but because you were so kind in letting us borrow them I am truly grateful. Again you have totally changed lives in my room! You have made kids communicate when they didn’t know they could or chose not to. And you can’t put a price on that! The Rubik’s Cube has made a believer out of me!